This month’s VTG Newsletter focuses on our newly-launched campaign called “Learning Vietnamese is Easy”. Utilizing our “Customer-Focused, Vietnamese Learning Facilitation Method”, VTG has launched a massive marketing and sales outreach program to bring you the benefits of “learning Vietnamese in the comforts of your home or office at your most convenient time and place”. 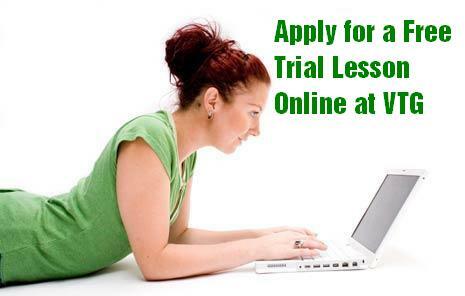 Option of learning online with our “Online Instructor” and advanced technology-based equipment on a 24/7 arrangement. We have numerous programs to suit the needs of our students - from the short-term “Survival Vietnamese” courses to the more formal beginner level to advanced level classes. And the best part is not only do you learn the basics of the Vietnamese language but also have the opportunity to learn more about Vietnam’s interesting history and culture. For the month of October, we offer FREE TRIAL VIETNAMESE LANGUAGE LESSONS to the first 10 callers of this special offer. So hurry! Just call 0906181716 and ask for Ms. Mai , and avail yourself of this promotion while it lasts. Ever got stuck with a legal document written in Vietnamese which you couldn’t understand? Or how about that fashion-focused article in a Vietnamese magazine that you needed to understand so you can complete your report? You don’t need to look far. Our VTG Translation Services unit provides you with the necessary help you need. Whether your document is in English, Mandarin Chinese, French or Italian, we can translate it for you within a given set period and with no or minimum hassle. Just call Ms. Mai at 0906181716 to schedule an appointment. “Last Great Spooky Night of 2008”! October means spookiness is in the air again with Halloween festivities. So VTG would like to invite you to some Halloween gathering at the 39 Bui Thi Xuan Restaurant . The plan is for the group to meet at Song Nhac karaoke, and go “clubbing” all along Hanoi to celebrate the “Last Great Spooky Night of 2008”! So grab your frightening costumes and get ready for a harrowing Halloween! Our best students will each get one free Vietnamese language lesson which they can claim anytime, courtesy of our Language Training Department. Ever wondered how you could survive going around Vietnam with only the knowledge of a smattering of Vietnamese words? Fear not! VTG certainly comes to the rescue of the hapless expatriate or tourist backpacker with its “Survival Vietnamese Language Course”. With just 3 weeks of dedicated training with our wonderful language instructors, you can speak enough Vietnamese words to haggle over shopping, ask directions or even argue with a local colleague. Truly an opportunity that shouldn’t be missed! Sign up fast by calling 0906181716 and ask for Ms. Mai.